Scroll down to check out the Trailer and screenshots! On October 5th we got our hands on upcoming Nintendo games for the holiday season. While I got to try a little bit of everything, my biggest anticipation is the Legend of Zelda Skyward Sword. But more on that on a later post. Latinogamer already posted his thoughts on Super Mario 3D Land and Kirby's Return to Dream Land. Indeed, these games are really fun. Super Mario 3D Land is definitely on my to buy list for my 3DS. 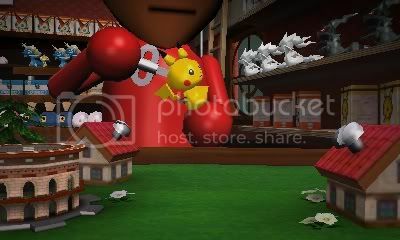 This time around, I will be sharing my experience with the other new Nintendo 3DS game called Pokemon Rumble Blast. 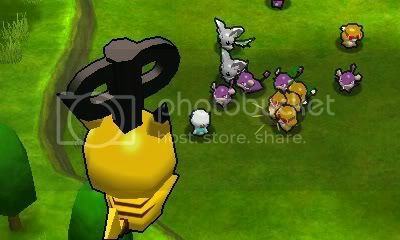 The game will be released on October 24th 2011. 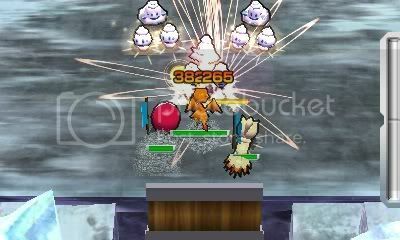 This is the first 3D Pokemon game that follows the formula from it's WiiWare predecessor, which means this is an action-oriented game. The original RPG gameplay is cut down to a more faster melee fighting style. Your pokemon are actually toy pokemon in a world called Toyland. 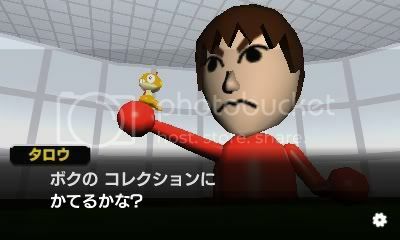 The object in the game is still, of course, to collect all the toy pokemon. There are over 600 toy pokemon to collect, including the ones from the latest Black and White versions. You simply move your toy pokemon around an area trying to find other pokemon. Once you encounter them, you use your A and B buttons which hold an individual move to fight. 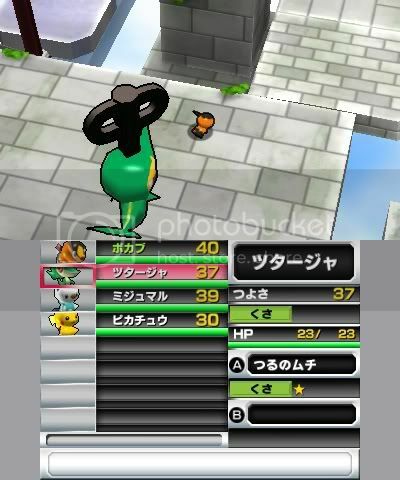 Each pokemon will have their own individual power stats and levels, and even have rarities. 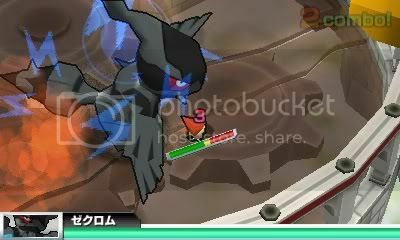 Elemental type classes will still play a role in this game as well. According to the Nintendo rep, he said the game is co-op, so you and a buddy can team up and wander through the dungeons to battle tough, boss pokemon together. 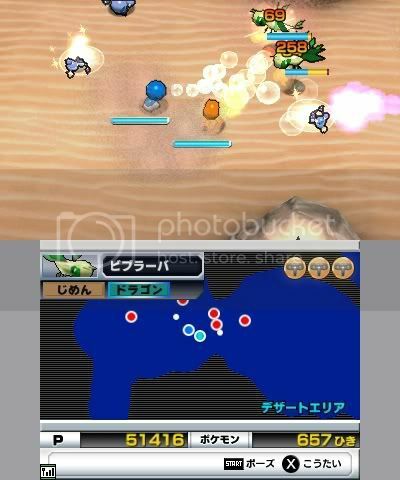 There will be also other modes that you can play with friends using local wireless connection. 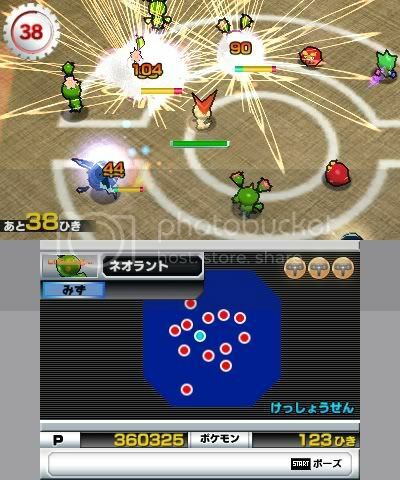 And this game will also have a Street Pass feature, which will allow players to battle the toy pokemon they've collected. In my session, I was using a default Rattata and all I could use was tackle. I wasn't able to switch out pokemon because I didn't know how to, or even know if I could in the demo version. 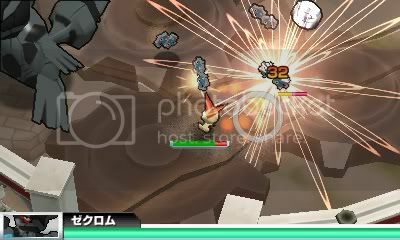 Again, this game acts like a brawler, so when wild toy pokemon attack you, you just need to move away to avoid being hit. I can see this game easily being loved by almost any Pokemon fan. However, for those who love the RPG formula, may not take a liking to this more simplified version. To me, this game seems more like mindless fun, running around and fighting whatever's in sight. If you feel like you "gotta catch'em all" again, this game will help refill that need this month.